Get your students in the holiday spirit while also working on skills in Language and the Arts! 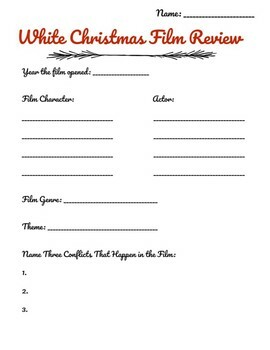 Have your students start this review while enjoying a viewing of the 1954 classic holiday musical 'White Christmas.' This cross curricular activity is a great way to integrate music and literacy into your holiday activities in the classroom.